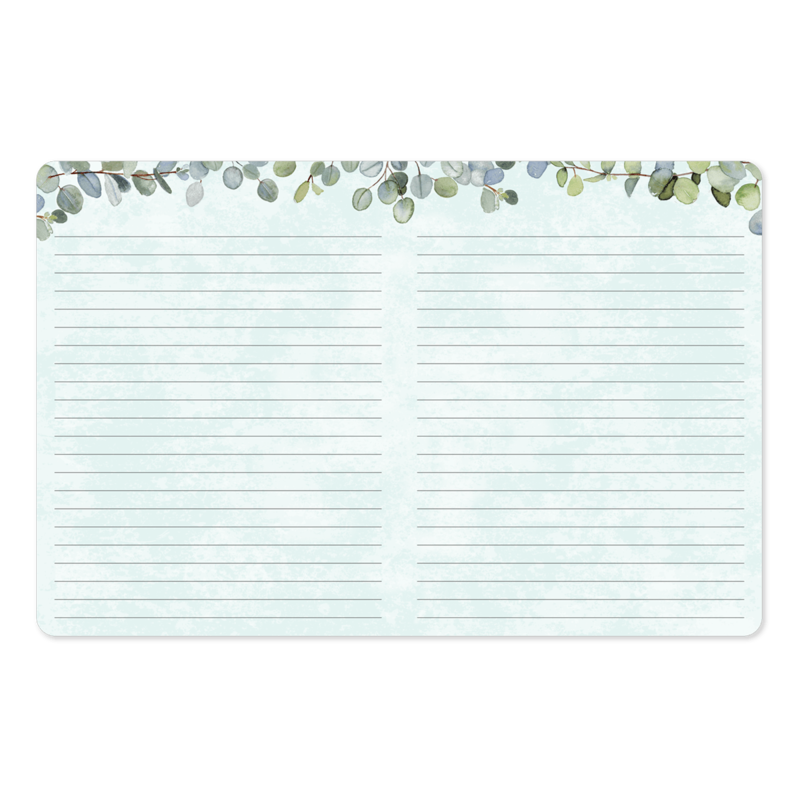 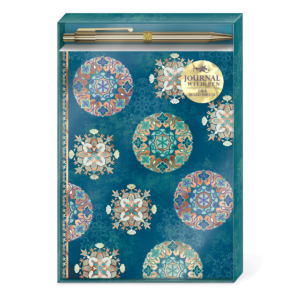 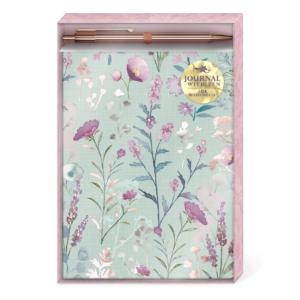 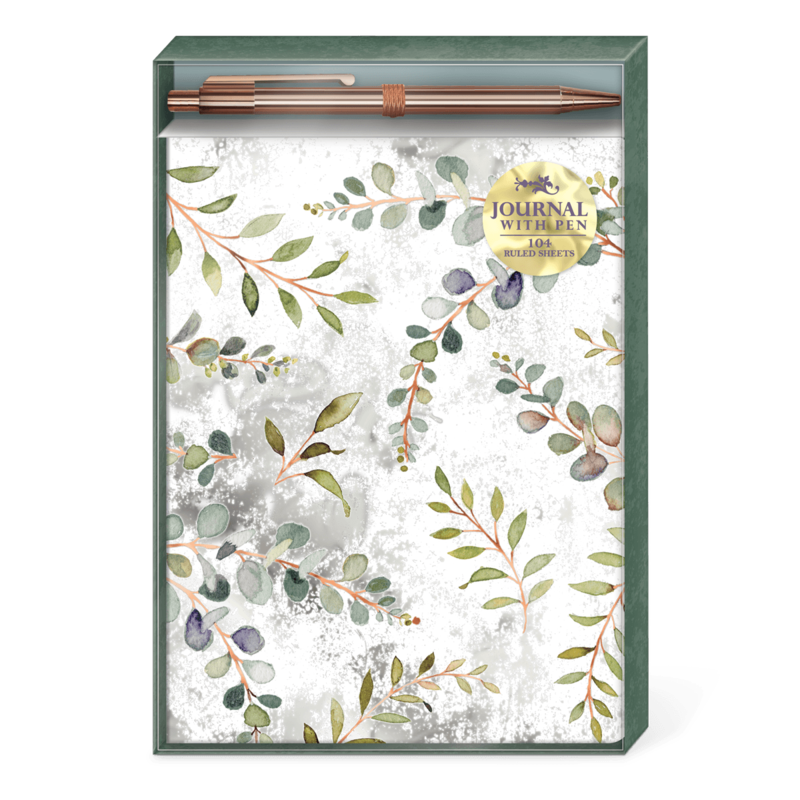 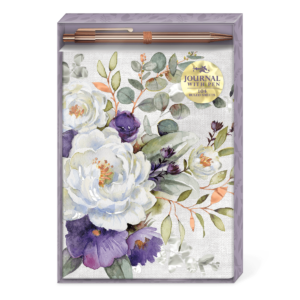 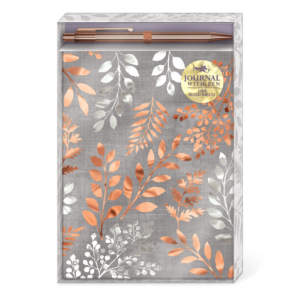 This Lilac & Sage boxed journal features a copper and silver foil journal with 104 full-colored sheets, paired with a black ink ballpoint pen with a medium tip and metallic rose gold barrel. 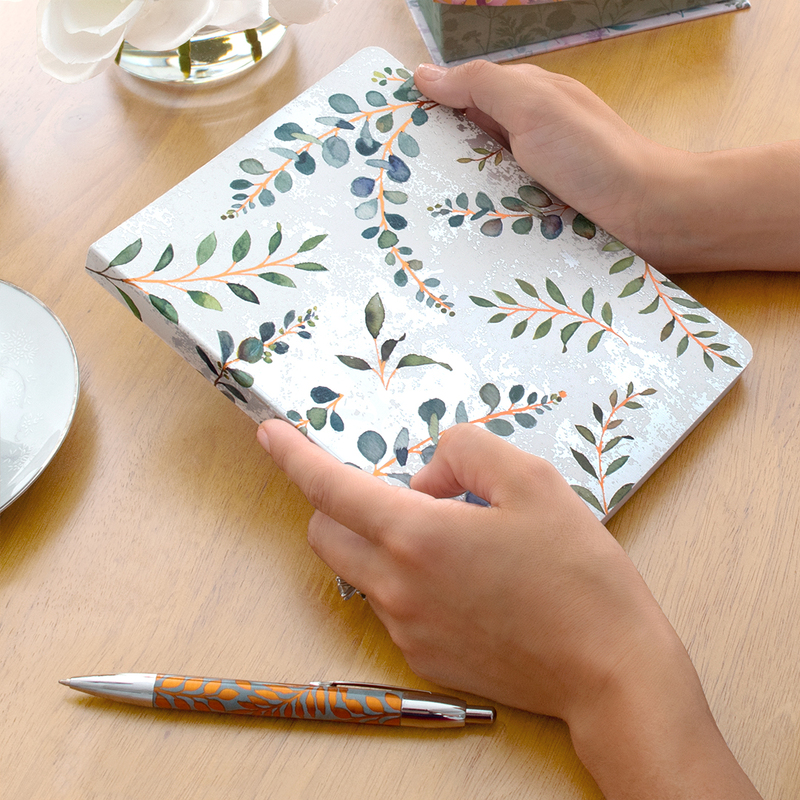 It’s no ordinary writing setfor no ordinary writer. 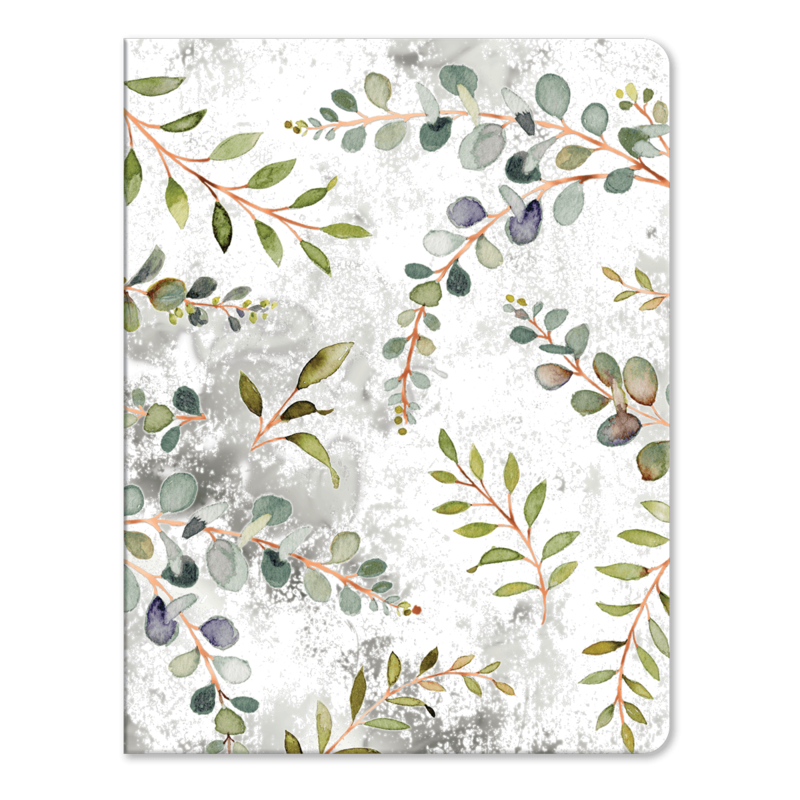 Journal Size: 6" x 8"